As previous owners retire, location continues to offer top-notch refinishing with dynamic improvements to sales, marketing and growth strategy. 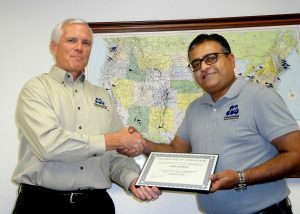 Miracle Method Surface Refinishing President Chuck Pistor (Left) congratulates Houston Southwest Franchise Owner Adeel Siddiqui for finishing franchise training, allowing him the opportunity to take over the successful work of current franchise owners Paul and Jonee Barnett. STAFFORD, Texas. – Jan. 22, 2019 The largest kitchen and bathroom refinishing company in the country, Miracle Method® Surface Refinishing, announces a new owner for the Houston Southwest, TX location. As a serial entrepreneur and owner of several different types of businesses, Adeel Siddiqui is excited to take over for Paul and Jonee Barnett, who started the Houston Southwest location in 2003. 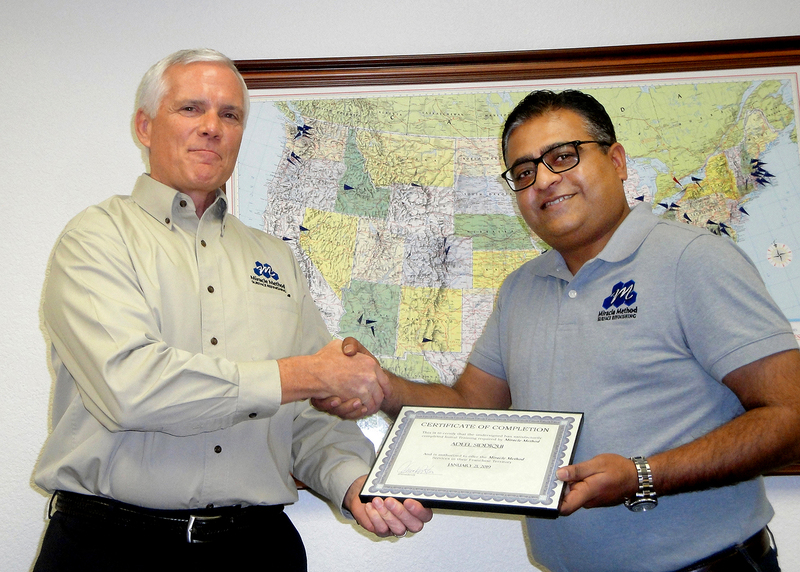 Siddiqui just completed extensive training at the Miracle Method Corporate Offices in Colorado Springs, CO, where he passed his courses quickly. “Adeel shows real promise, and we are excited to have him in Houston. He will be a positive addition to our growing network of over 140 franchises across the US and Canada,” Miracle Method President Chuck Pistor said. With 40 years of experience, Miracle Method is the fastest growing kitchen and bathroom surface refinishing company in the industry. The company has shown a 73 percent sales increase over the last six years, and specializes in repairing and restoring all types of ceramic tile, bathtubs, and surrounds, showers, countertops, vanities, and sinks. Franchise Business Review also listed Miracle Method as a top performer in their 2019 Franchisee Satisfaction Award. To learn more about franchise opportunities, please visit miraclemethod.com/franchise or contact Gwyn O’Kane, Vice-President of Franchise Development at 877-434-5096. Miracle Method is the nation’s largest bathroom and kitchen surface refinishing franchise, with more than 140 locations throughout the U.S. 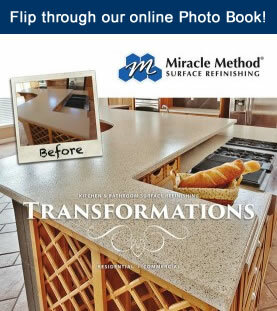 Founded in 1979, Miracle Method specializes in bathtub, ceramic tile, and countertop refinishing. The award-winning franchisor has been listed on Entrepreneur Magazine’s Franchise 500® list for the past 13 years and is also an actively participating member of Vet Fran. Miracle Method’s franchise owners all live in the markets they serve and pride themselves on being independent, local small business owners building outstanding reputations in their communities. For more information about Miracle Method, visit www.miraclemethod.com or call 888-271-7690.